Filling your grocery trolley with nutritious foods isn’t always so easy, especially when faced with confusing nutrition claims and plenty of marketing mumbo jumbo to throw you off your scent in the hunt for healthier choices. If you’re keen to arm yourself with skills to make sense of food labels and get on the path to healthy eating, the ‘Nutrition Speak’ Savvy Shopper Tour is just for you! Q: What will you get out of this tour? walk away a confident grocery shopper, with practical skills to read and interpret food labels so that you can evaluate the health worthiness of any product. get a heads-up on food and nutrition claims that are worth looking for (as opposed to misleading ones that are even not worth two cents). learn about the ‘Health Star Rating’ and how to use it to compare similar packaged foods and make healthier choices. get specific brand recommendations for different categories of foods, such as breads, cereals, dairy foods, oils, snack foods and much more. receive a wallet-size magnifying glass (to read small food labels) and a glossy ‘Healthy Shopping Guide’ to take home. Q: Who runs the tours? A: Accredited Practising Dietitian, Vanessa Schuldt, runs the tours. With over 20 years experience as a dietitian, Vanessa is well credentialed to give you the best food and nutrition advice and skills to embrace a healthy eating pattern. Q: Where are the Savvy Shopper Tours held? A: Tours are held in various supermarkets throughout the Illawarra, including Wollongong, Shellharbour, Shell Cove and Warilla. Q: How many people are included in a tour? A: Each tour will have up to a maximum of 6 participants. Q: How long do the tours run for? A: The tour typically runs for 1 hour. Some tours may run a little over time depending on the group, so please allow up to 75 minutes for your tour. Q: How much does a Supermarket Tour cost? A: For a small investment of $30, you will walk away a confident grocery shopper with skills to make healthier food choices. The tour fee includes a wallet-size magnifying glass (to read small food labels) and a glossy ‘Healthy Shopping Guide’ to take home. A cash payment of $30 is payable on the day of the tour. Q: How do I make a booking? 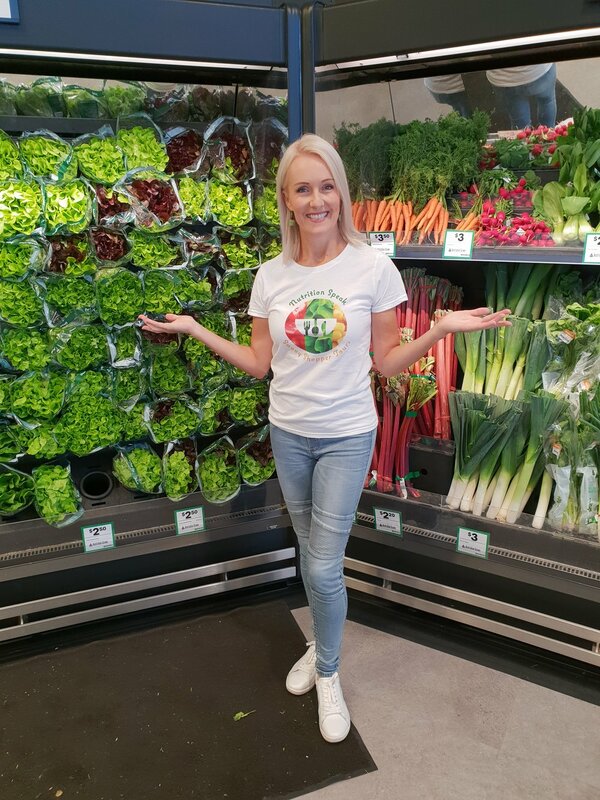 A: Please call Vanessa on mob: 0409 660 140 or email: vanessa@nutritionspeak.com.au to find out when the next scheduled supermarket tour is being held to reserve your spot.